Most students groan and roll their eyes when they think of orientation. I would know, I'm typically one of those students. I'm here to say that if you have the opportunity to go to orientation, you should go. Orientation is weird and awkward for everyone. Some of the activities are strange or not something you would normally participate in but don't worry, other people are sharing in your embarrassment as well. This nervous energy makes it easier to talk to your fellow classmates and form some friendships before you even step into the classroom. I am helping with orientation this year and I'm actually having a great time when I'm not even participating in the fun activities! I've already made new friends from other programs and I am excited to check out some of the museums and the Jays game that are a part of our Orientation program. Take in all activities you can! Pottery class? Do it! Baseball game? Of course! The best part of orientation is that is isn't strange for you to attend something "alone". Sure, it's great to have friends that you'd like to go with but the chance of you knowing someone in the class, event, activity is pretty high. Maybe you saw them when you checked in for your program or perhaps you talked to them at lunch. It's a chance for you to talk to the people around you and completely go out of your comfort zone without having to worry about having a reason to talk to this person. You share the same reason - it's Orientation! Bottom line, ATTEND THINGS. These events were planned for you to go to so it's not "weird" for you to show up, even if you think very few people are going. You will meet great students and have fun! crap things they have accumulated throughout the summer and hauling it back to school. I fall into the latter category. I leave to head back to Toronto on Wednesday at 10am. I am flying out of Winnipeg to Ottawa, then driving down to Toronto a few days later. I HAVE NOT PACKED YET. Moved my suitcase around to appear like things are occurring. Hung things up in closest. Manage to lose two different right-footed shoes. Put on new Nike Running shoes and scissor kick down the hallway. Obviously, I am further procrastinating by writing this blog post about my procrastination. Meta blog. I am excited to head back to school but the packing is daunting and from experience, I know I'm going to end up hurriedly throwing things together the day before I leave. My advice is to start now if you are heading off to school this fall! So many of you know, I am an Assignment Saving Lives Student Recruiter for Canadian Blood Services. If I recruit 20 UNITS of blood (with 5 being new units) I am able to receive a bursary for my schooling. I attend The Michener Institute of Applied Health Sciences in Toronto and, as you can probably guess from the name of my blog, I am a Medical Laboratory Sciences Student. I will be directly involved with blood donation and even Canadian Blood Services when I graduate in 2014. I was told today that what matters is the "TOTAL UNITS" donated to my team. I need to have at least 20 units when I currently only have 11. The way the information for the program is worded is that you have to recruit 20 blood donors with 5 being new donors. I was under the impression this meant the people you recruit to donate. Obviously, some people may have health issues, faint while donating, low hemoglobin etc which prevents them from completing their donation. If that happens, these people do NOT count in my total. I understand that they want to get units of blood but this is extremely hard to fulfill when you aren't going to delve into the health issues a person may have. If anyone knows where I can get 9 units of blood (har har har) or has a group of people (Work, school, team) that is going to donate and would be willing to use my Partner ID, please let me know. You'd be helping me out tremendously.The best part is you do NOT have to be located in Manitoba to help me, it is good across Canada and will take 5 seconds of your time to sign up for before you head to donate. Check "yes" saying you are a "part of" this organization. It makes it easier. Perhaps I can somehow scrounge up 9 willing and health donors that can aid me in my bursary quest. I have until September 3rd for people to donate. Thanks for reading. Any questions please email me or tweet me @kurchenko. Researchers from Université de Saint-Boniface have declared a South African commercial cleaning product they've tested exhaustively can be a highly effective weapon in fighting superbug infections in hospitals. Infections such as clostridium difficile, MRSA (methicillin-resistant Staphylococcus aureus) and E. coli can be fatal when they get loose among the sick and weak. "This one actually eliminates the spores, in a weak concentration, in 90 seconds," USB spokeswoman Monique Lacoste said Friday. "It's a commercial product we were asked to examine. It's to scrub down the rooms." This is an important finding in cleaner game for hospitals. Most "super" bacteria can be resistant to many types of disinfectants and having this as a weapon would be an asset. Great works being done at St.B Hospital! One of the most serious hereditary diseases is Sickle Cell Anemia/Sickle Cell Disease. It is an autosomal recessive mutation of a hemoglobin gene which causes "Sickling" of the red blood cells. The decrease in hemoglobin causes outward effects such as fatigue and fainting while internally, the cells can cause blockages in blood vessels, blocking flow. The gene mutation creates rigid red blood cells, forgoing their typical "donut" shape and becoming a characteristic Sickle Cell "eyebrow" shape. It is important to be on the look out for any sickle cells that may be present in a patient's blood smear. Any number is significant and must be reported as either Occasional, Some, Many on the CBC report. It must also be noted that reporting Sickle Cell Anemia is very serious and should be confirmed if you are ever unsure. The easiest way to look for sickle cells is to look for the distinct "curved eyebrow" shape. It will have sharp-pointed ends with a curved arch in the centre that will stand out from the other RBCs. Some of the cells can appear twisted like they are 'flipping' which is how they appear before they fully sickle. One of the major issues with diagnosing Sickle Cell Anemia is the confusion with "pencil" RBCs. They are typically seen with IDA (Iron Deficiency Anemia) and can appear to have pointed ends which may be mistaken as Sickle Cell. Try to familiarize yourself with the difference in appearance between pencil RBCs and Sickle Cells so you can make your diagnosis quickly and correctly. As a Medical Laboratory Science/Technology or Laboratory Assistant student, you are able to apply to be a member of the College while in school at a discounted rate. Memberships are available for 2 years at $78 or 4 years at $102. On top of being a member of the college you will get access to educational materials, newsletters, networking opportunities and also discounted rates for your CSMLS exam. Yes, discounted rates. You will save up to $100 when you pay to write your exam which is a lot since the exam costs around $500 without the discount. I highly recommend checking out the information here on the CSMLS website. While you're there, look around a little! There is a lot to see about the profession. 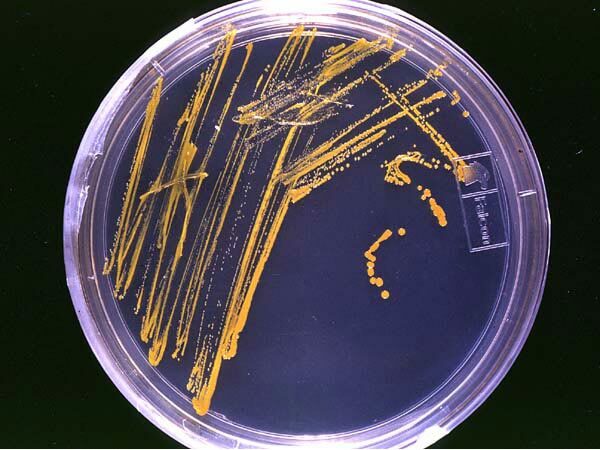 Plating for isolated colonies or streak plating on agar media is a common practice in a microbiology lab. It is a basic skill that you will need to fine tune and find your own method that works for you. To explain streaking, it is a method used to isolate a pure strain of a microorganism, typically bacteria, from a sample or experiment. It is done using a sterile plating tool such as a metal loop, plastic loop or a cotton swab on a sterile agar plate. The goal is to achieve isolated colonies in the 4th quadrant of your plate in a healthy quantity. This will give you many microorganisms to work with for future testing. To achieve isolated colonies, you must first divide your agar plate into 4 quadrants. This is how I like to divide up my plate and how I was taught throughout University and College. The 4th quadrant should be your largest as it is where you will achieve your isolated growth. You will first need to sterilize your loop if it is metal. If using a pre-packed plastic swab or loop, you can start as soon as it is removed from the package but I will explain as if you were using a metal loop as it is the most common practice. To sterilize your loop, place it in a Bacti-Cinerator or flame. This will insure there is no carry-over from past samples that might contaminate your isolation. 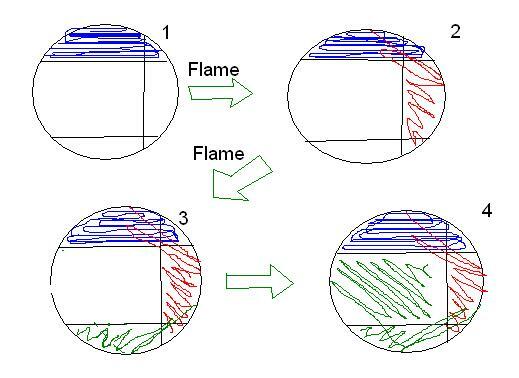 Flame the loop and wire and streak very tight lines in quadrant A (like plate 1 of diagram. Reflame the loop and let cool. Streak into quadrant B by passing loop through quadrant A twice before zigzagging in quadrant B (like plate 2). Streak into quadrant C by passing loop through quadrant B twice before zigzagging in quadrant C (like plate 3). Streak into quadrant D covering as much area as possible to achieve isolation. Label the plate and incubate it inverted. Practice is the only way you can get better at streak plating and I recommend doing as many plates as possible so you can become great at isolation. 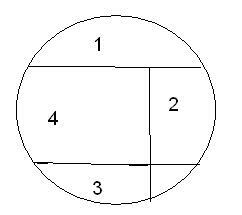 You do not want the microorganism to start isolating in the 2nd or 3rd quadrants because it means you were too "light handed" or did not carry over enough of the colonies. First quadrant is too large and is isolated too early!